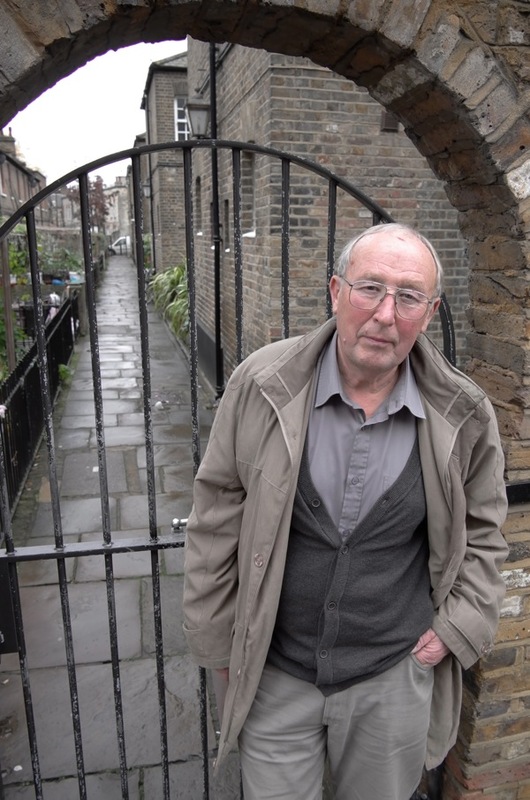 Observe Mick Hardie’s quizzical smile, peering at me askance, when I took his portrait last week upon his return to the corner of Spitalfields that he left in 1967. 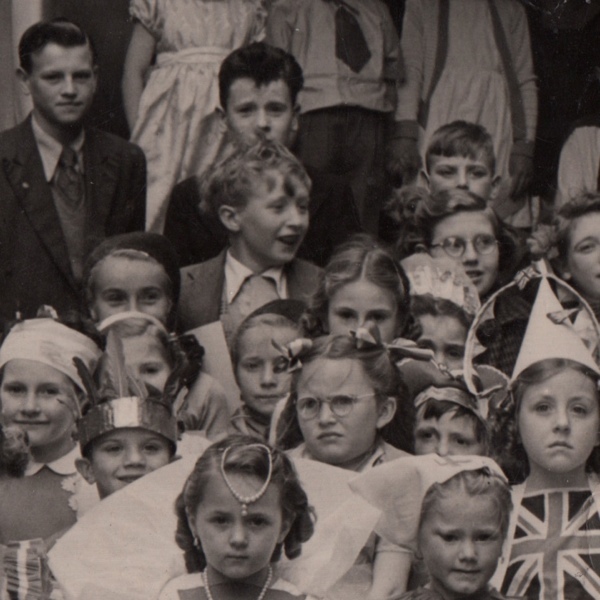 It is a smile that is not so different from his grin of wonderment captured in a Coronation party photograph, sixty-one years earlier – taken just fifty yards away from this new picture when he was nine years old. Yet in spite of the lifetime that has passed between the two photographs, Mick was able to speak vividly of his youth and formative experiences in these narrow streets, which have changed almost beyond recognition in the last half century. “I moved away in 1967. 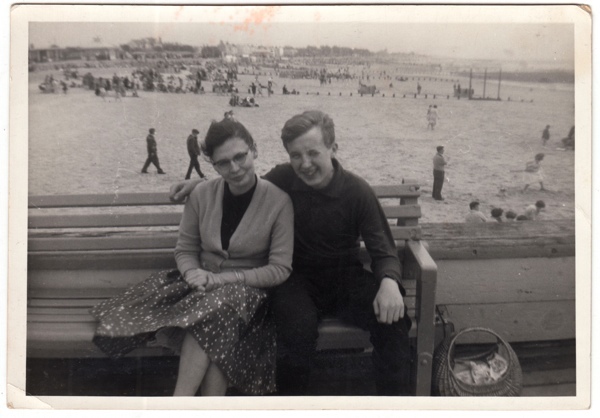 We got offered a house in Wanstead and we lived there thirty-nine years, and then we moved to Frinton eight years ago – I don’t know why we moved to Frinton, my wife saw a house there and liked it. Now, everyday I send my daughter a photo of the sea from my mobile phone. In 1946, my parents moved into Albert Family Dwellings, Deal St, Spitalfields. 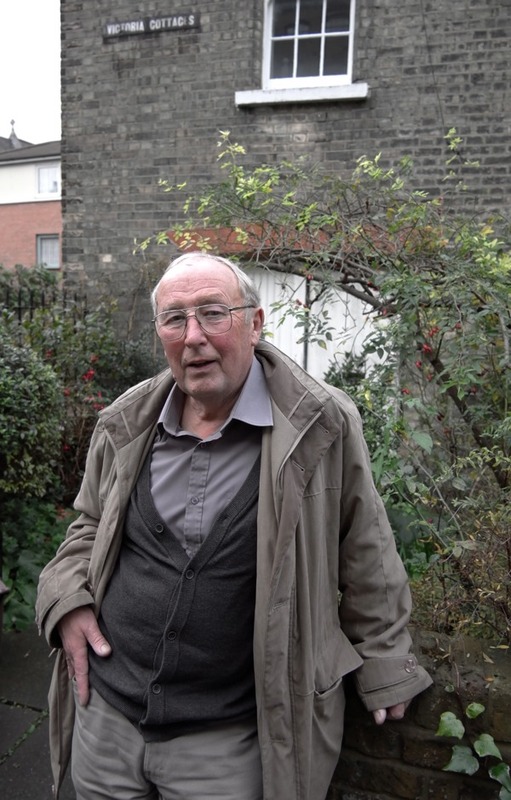 My mother May Edith Hardie came from Waterlow Buildings in Three Colts Lane, Bethnal Green, but my father, John James Hardie, he was a Scotsman. 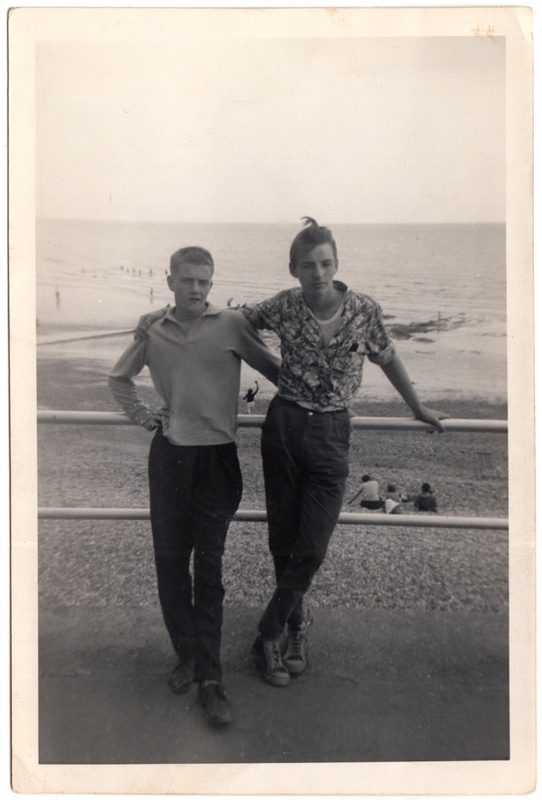 I had been born in Hitchin in 1942 and I was four, and my elder brother Brian was six, when we moved into the Dwellings. There was still a bomb shelter in the courtyard. I can remember most of the people in the buildings and all the details of the neighbourhood, because my father died of tuberculosis when I was six and I became a child of the streets. If I ever needed anything, I called up to my mother and she would let me down a doughnut wrapped in paper on a string. Everyone knew each other in Albert Family Dwellings, people leaned out of the windows and chatted with their neighbours above and below. You used to get the old Jewish people sitting around in the evenings, that’s what I remember, and on Friday they asked you to to turn the lights and gas on and off. One of the highlights was the procession from St Anne’s, the Catholic church. They used to process along Underwood Rd, up Vallance Rd and back along Buxton St. The Truman’s bottling plant was nearby and, every day, I could hear the clogs of the bottling girls in Woodseer St – it was like an army on the march. From the window of Howard Buildings, you could look across and see the girls in the bottling plant. We had two bedrooms, a living room and a small scullery with a coal bin, which had to be kept clean because my mother used the top of it as a work surface. Everyone had a coal fire and the coal man carried hundred-weight sacks of coal up the stairs on his back. The scullery was so small, you could wash your drawers while sitting on the toilet and, if you wanted a bath, you went to Cheshire St Public Baths. Under Howard Buildings, next door, there was a washhouse where all the residents did their laundry. 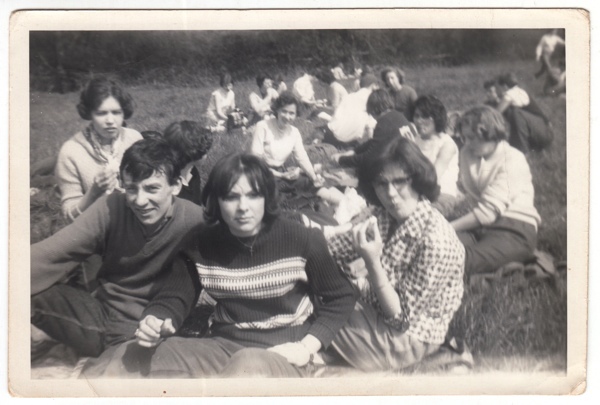 I belonged to every youth club, even the Jewish youth club. I bought a bike in Club Row and cycled to Victoria Park. I was always a keen reader and I borrowed books from St Matthew’s Library, across the railway line. I used to buy toast and dripping in the cafe at the foot of the Pedley St bridge and carry it up the steps, and make a greasy thumbprint on the cover of my book. When we had no money, we collected rags and waste paper and sold them to the waste merchant in Cheshire St. They pulled down All Saints Church in Buxton St when I was was ten, fortunately I could still go to Christ Church Spitalfields – but not very often, mind! After my father’s funeral, my mother never wanted to go to church again. When I left school at fifteen, I got a job as a messenger boy in a shipping office in Gravel Lane, Wapping. 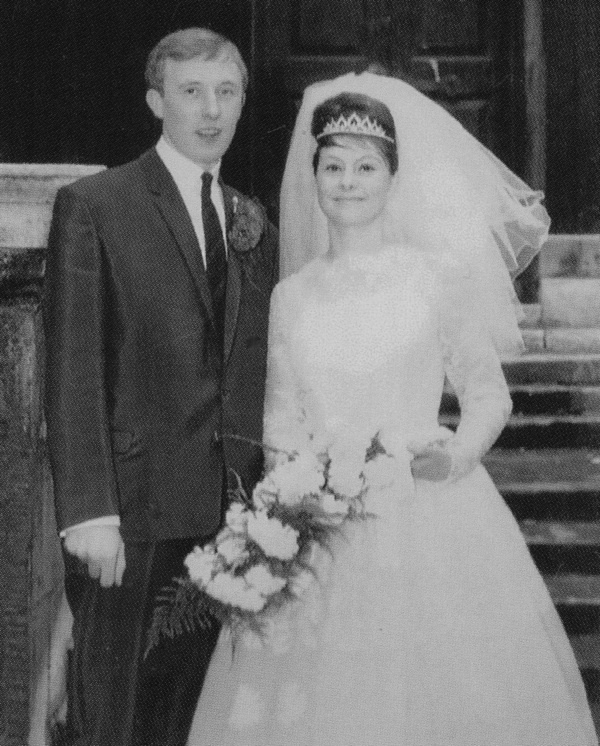 I met my wife, Doreen Delaney, through the All Saints youth club in December 1958 and that was it, we got married in 1963. I remember I was standing on a street corner one night and a friend asked me to come along carol singing with the choir, and I don’t like carol singing but I went along anyway, and that’s how I met Doreen. They never said it would last – but we just celebrated our fiftieth wedding anniversary with Rock ‘n Roll, fish and chips, and beer! She was in the choir. After we met, I went to church just to hear her sing, and I waited for her afterwards and walked her home. Doreen used to roller skate through Liverpool St Station. 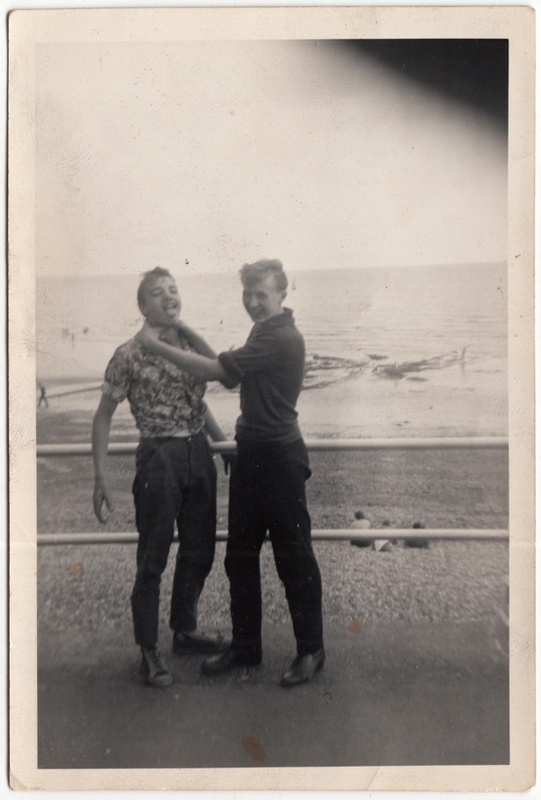 A year later, when we decided to get married, my mother in law said, ‘You’d better get a proper job.’ So I became a butcher and that was my life for the next forty-five years. I worked at Smithfield and I worked at Sainsburys, and I worked in the Bethnal Green Rd when every other shop was a butcher’s shop. 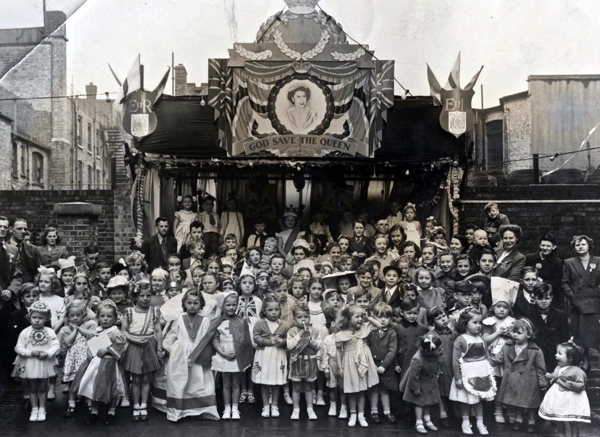 In those days, you could walk from Hanbury St, down Vallance Rd, then turn left and all along the Whitechapel Rd as far as the cinema, it was full of stalls that were very good. Because Doreen was in the choir, we got married for free at Christ Church and the choir sang for us as punishment. After we married, we moved into 99 Woodseer St and my brother lived almost next door in 104. Ours had been the flat belonging to Mrs Ivory, the dinner lady at All Saints School. We just had a living room, bedroom, scullery and backyard, but we were quite happy there. I had so many part-time jobs, trying to get a buck. I so much like reading the stories of Spitalfields, Whitechapel etc. thank you so much for your efforts in bring this to us…. From then on my ancestors were all born Stepney, Whitechapel,Bethnal Green, Shoreditch etc. so your stories and photographs are of great interest……. These memories are wonderful and bring the area to life so well. I’m glad Mick and Doreen are still going strong. I don’t live in the East End but recording these memories are so important. the YPF and Christ Church that had such a great influence on us all. Great people like Mr Ralph and his wife, Skipper, Miss Guess, Miss Hodges, Miss Ward Mr Gee and so many more. Thanks Mike for a wonderful walk down memorie lane. 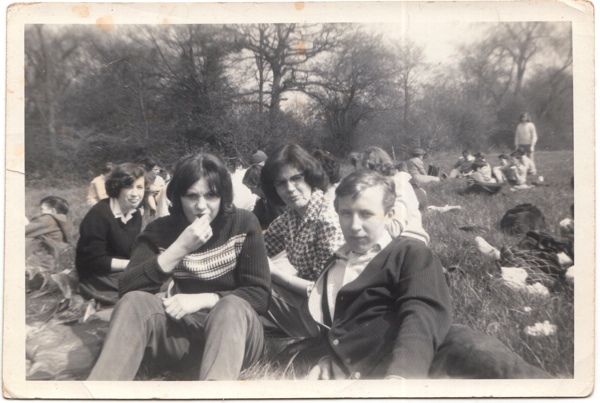 A story of the optimism of youth growing up in East London, Mick’s young life was told as he said as a street wise boy without remorse and any regret but with hope always looking forward to each new day and what it might bring.Good Luck Mick. My grandmother lived in Howard Buildings until they were evacuated during the war. She never really talked about it so its great to hear about the area. Her name was Irene (Renee) Tarman.